After almost a year of peace and quiet, Quantcast tracking code has returned to this blog. As reported by Brian Yang, the stupid hack that stopped the code from being included doesn’t work any more. Automattic recently switched to the new Quantcast-code, which instead of using the old-fashioned document.write now gets inserted asynchronously by a DOM-method (insertBefore). I’m looking at ways to stop this from happening or at least limit it one way or the other, but for the time being there’s no fix. Bear with me and do speak up (in the comments below of via the contact form) if you think you can help! 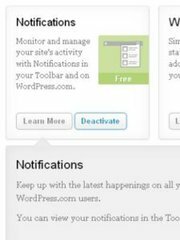 This entry was posted in blog, Internet, lang:en, wordpress and tagged donottrack, privacy, quantcast, wp-privacy on 7 November 2011 by frank. While the entire German blogosphere seems to have discovered the pretty unpleasant, secretive inclusion of Quantcast tracking in the “WordPress.com Stats” plugin, I found an article on the blog that broke the story in Germany, that explains how you can somewhat limit (valid) privacy-concerns with Google Analytics. Call me naive (or overly idealistic), but shouldn’t your Google Analytics implementation have this option on as well? This entry was posted in Internet, lang:en, security, Web development, wordpress and tagged google analytics, privacy, quantcast, spreerecht.de, stats, _gat._anonymizeIp on 9 February 2011 by frank.